This question is about creative design. Read the Design Brief and your Specification very carefully. 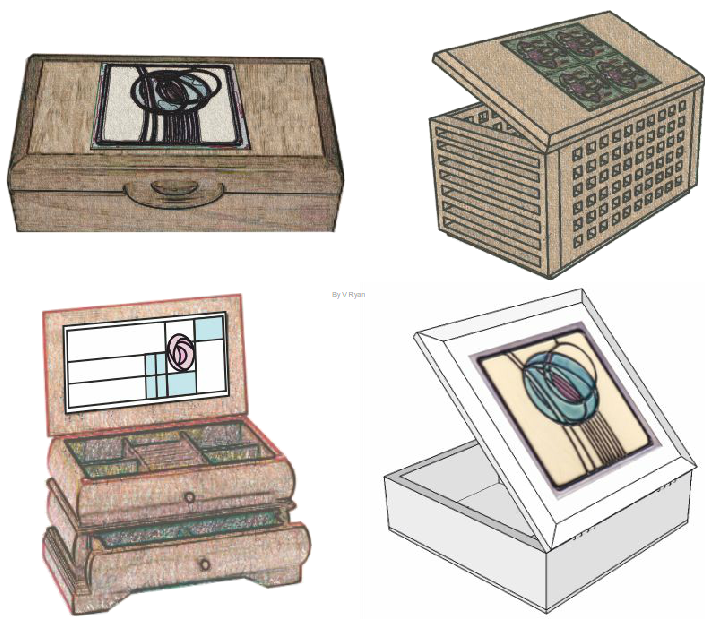 Sketch five designs that are suitable for a storage unit, to hold valuables such as jewellery or computer games. Each storage unit must be based on the Mackintosh design criteria.